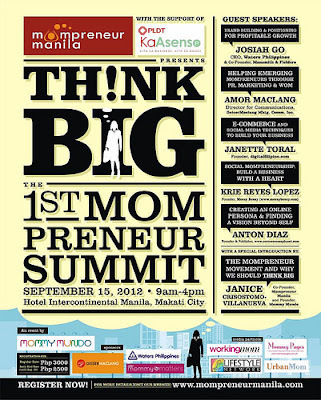 Happening this Saturday is the very first Mompreneur Summit! If you're an inspiring mompreneur like me, sign up now! I think this will a great learning experience! I'm really excited to hear from the speakers and learn from them! Register while you still can! Click here!